Vascular malformations are abnormal clusters of blood vessels that are present at birth. These malformations grow as a child grows and never fully go away. At the Beverly Hills Center for Plastic & Laser Surgery, Dr. Ben Talei is a highly trained and skilled dual board certified facial plastic surgeon with a specialty in vascular malformation treatment as well as birthmark removal. Depending on where a vascular malformation occurs, continued growth could become a bigger issue. Dr. Talei can treat vascular malformations through a variety of procedures such as laser therapy and surgical procedures. If you or your child have vascular malformations, you would benefit from a consultation with Dr. Talei. During that time, he can fully explain the treatment options that are available for this type of birthmark. It’s important for patients to fully understand that vascular malformations can return over time requiring additional treatments. No plastic surgery procedure is one-size-fits-all, and that’s certainly true for vascular malformations. After an extensive consultation and examination of the birthmark, Dr. Talei can plan the most effective treatment for your issue. During that time, it would also be important for you to discuss your goals for the end results of the treatment. This is so that they are in line with Dr. Talei’s and within the abilities of the treatments. Dr. Talei has a passion for treating vascular malformations. His unique skill-set and experience have given him great success in treatments. 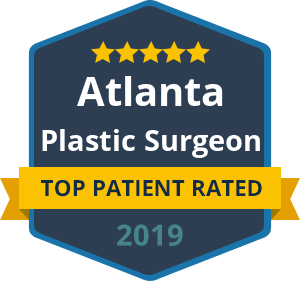 He holds a dual fellowship training in facial cosmetic and reconstructive surgery and vascular birthmarks and congenital anomalies with laser surgery. Contact our vascular malformation treatment experts at the Beverly Hills Center for Plastic & Laser Surgery today for a consultation. We look forward to hearing from you.